Hey everyone. I told you I'd get to this for you and I did. Heres the mixing method and stages for you, plus the usage of gelatin when and how. All ingredients ready to go and dissolve. Lets mix on medium/low. 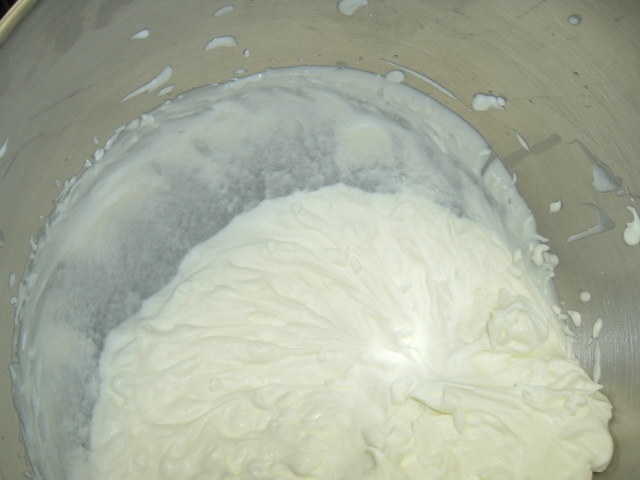 Once you get to this point, which is soft peaks, you can tell its getting thick but its still sliding from the bowl when you tilt it. This may be where some of you are stopping and this will last approximately 2 hours on its own before its liquid again. Here is roughly medium peaks. 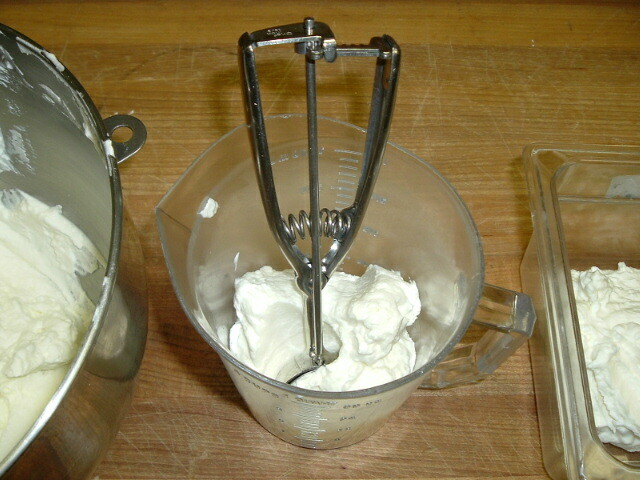 This is where you need to start paying attention and possible take the bowl into your own hands and whisk. 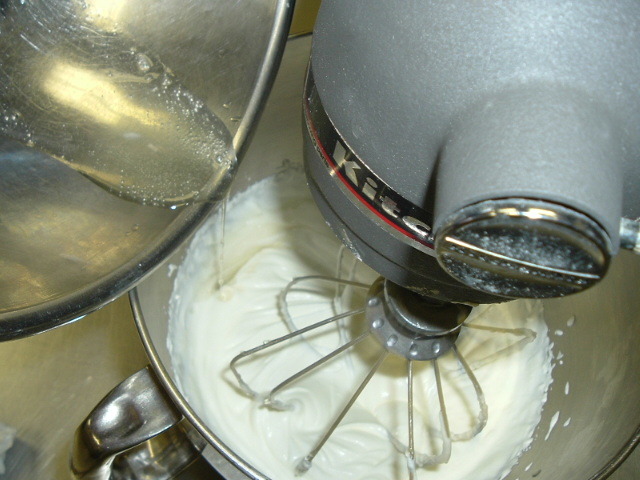 You can see that it has enough form to stay on the whisk but if I tilt the bowl it will still recede a little. This now is stiff peaks and is what you want. Try and see how high some of the peaks are. They are perfectly stiff and unmoving with gravity. I can even take a spoon (sorry for no picture) and flip it upside down but the cream wont budge. Here for our experiment is a seperation. One plastic, one plastic with a stainless steel 2 oz scoop carelessly left inside, and remaining 1/3 in the SS bowl. Wrapped and stored in refrigerator. Ok, with that said and done lets go on to GELATIN. 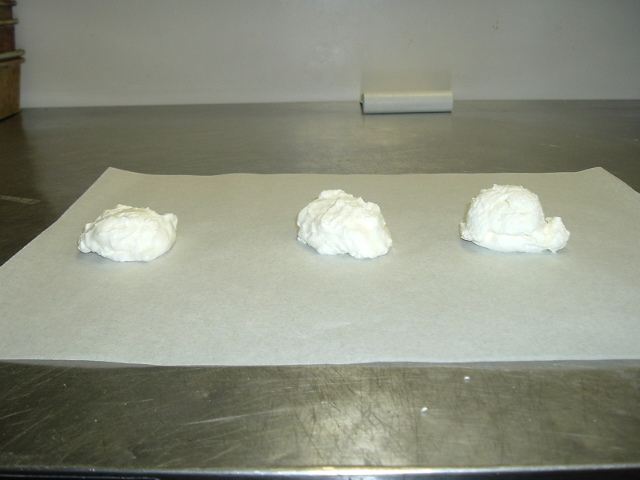 Heres a start with two sheets of gelatin weighing in at 1/10 oz each will be used for a pint/2 cups of cream. If they are hanging out a little just wait a secound until soft enough to fold and fold them so they are completely submerged. 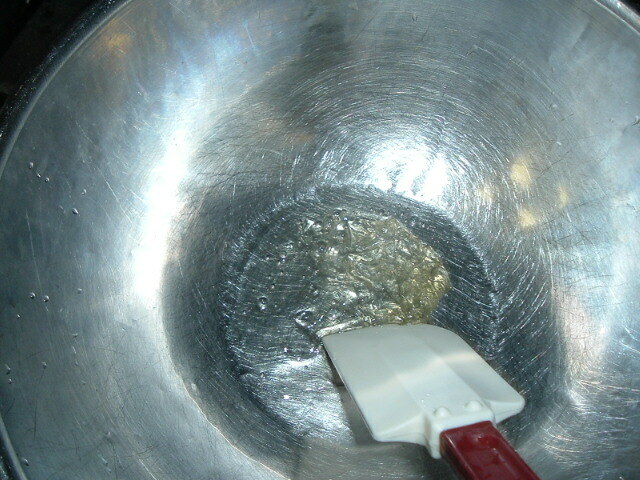 after a about 2 minutes of soaking while setting up the cream/sugar/vanilla in a mixing bowl, pull the softened gelatin. They should kind of feel like mini water beds with a leak. 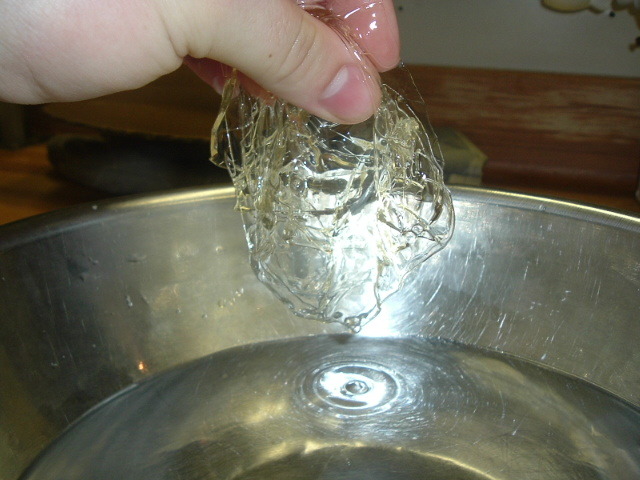 Next squeeze the gelatin a little to get excess water out plus any water that may be trapped inside after handling. 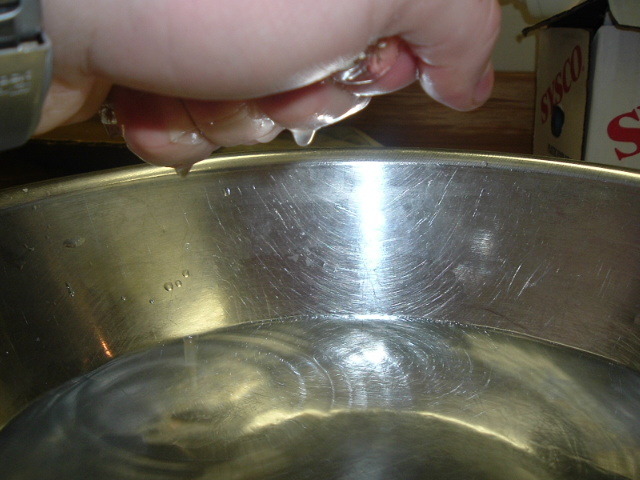 Dump the water out of the bowl and put the gelatin back in. 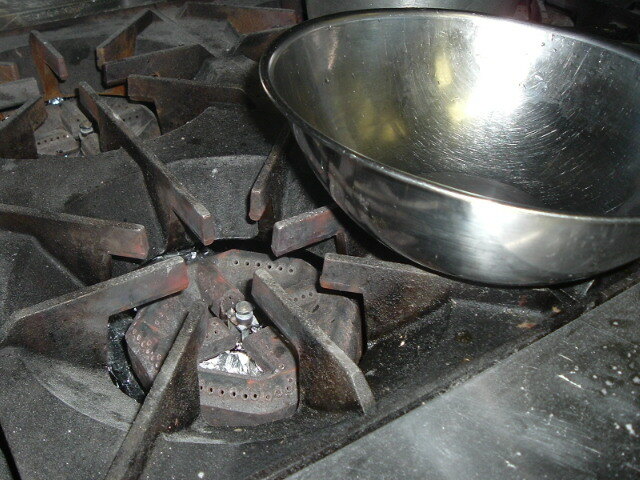 While doing that heat a burner, electric or gas on high. Once Hot turn the burner off and place your gelatin bowl on top. This way it has no direct heat but is kind of like a hot plate. Microwave works very well too but i would use a metal bowl. Just put it in a plastic container and nuke for 10 secound intrevals until its warm to the touch. 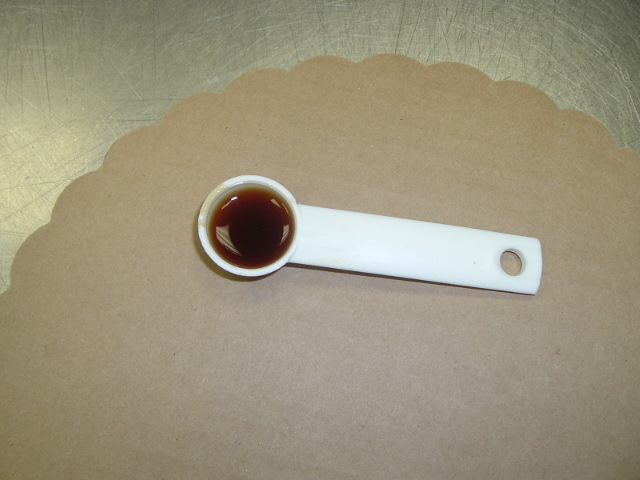 Now as thats going check back with your gelatin and you'll notice it starting to break down and "clarify". Finish clarifying until its decently warm to the touch. To me its warm but for anyone whos not use to the heat in the kitchen it might be hot to you. If you really want to be sure you can temp it and if its around 110-120 degrees your good. If its over 130 your in bad shape and its lost considerable power and form. 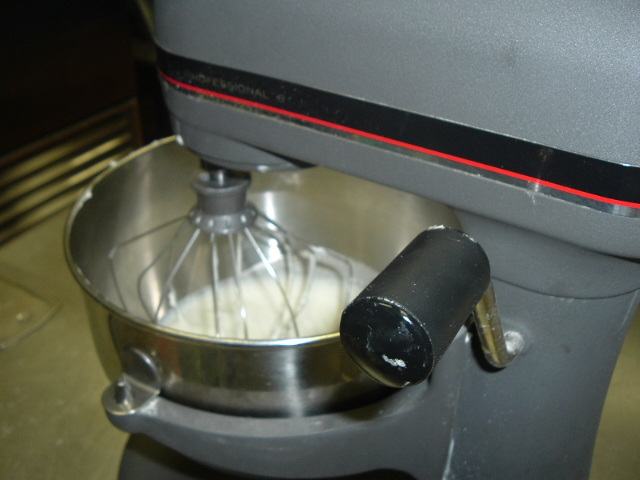 Now lets turn off the mixer at soft peaks. 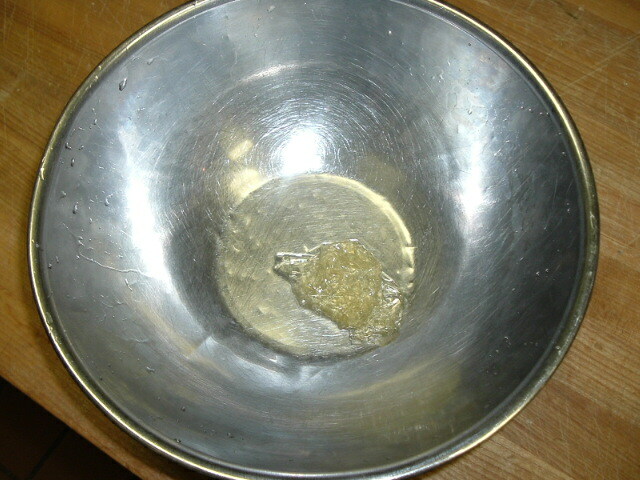 This way the gelatin should fall right in and dissolve nicely without too much mixing/agitation. 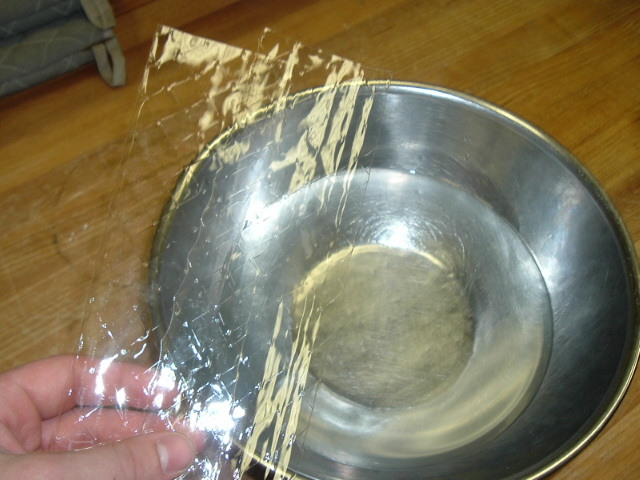 Scrape gelatin into the edge(tilted) of the bowl to be poured. Pour gelatin in steady stream, fast enough to get it in fast enough before it cools and slow enough so it doesnt build up ontop. 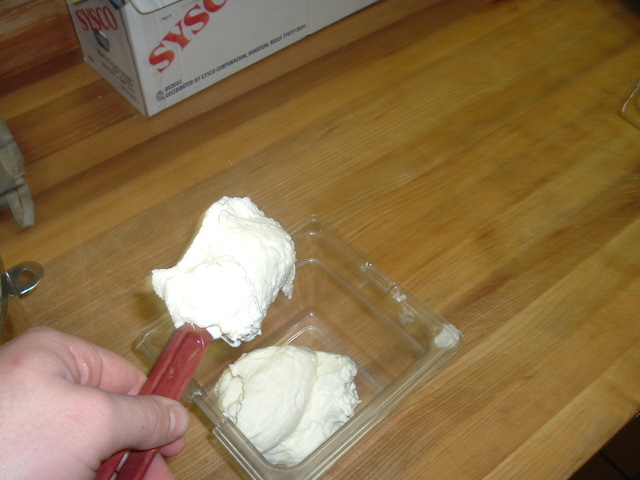 The cream is a lot cooler than the bowl and will set up the gelatin much faster. Now beat on high to stiff peaks while gelatin is relatively warm and unset. See how thick the cream is, and geuss what, no lumps of gelatin at all. 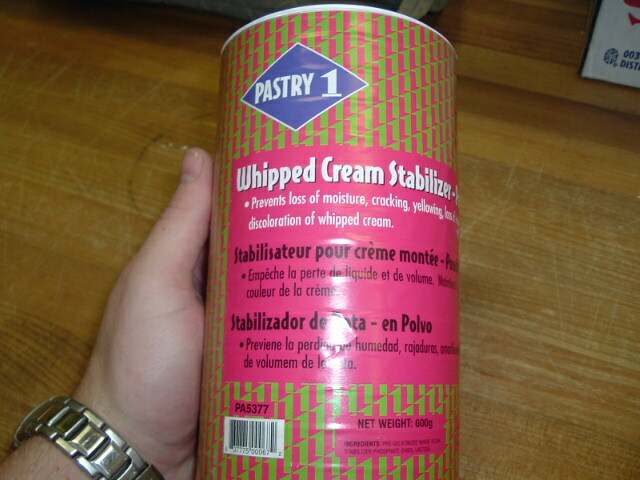 Just for a last note, this is the Stabilizer we use at the bakery I work at. It's made of modified wheat gluten and phosphate lactose. Directed to use 10g to every L of cream. I'll be back periodically to show you time results of the seperated cream. I hope this helps everyone. Thanks for the excellent tutorial. I've read that the sugar should be added at the soft peak stage, rather than at the beginning. Has anyone found this to make a noticeable difference? I look forward to the additional photos showing the separation results. I would like to add a comment. 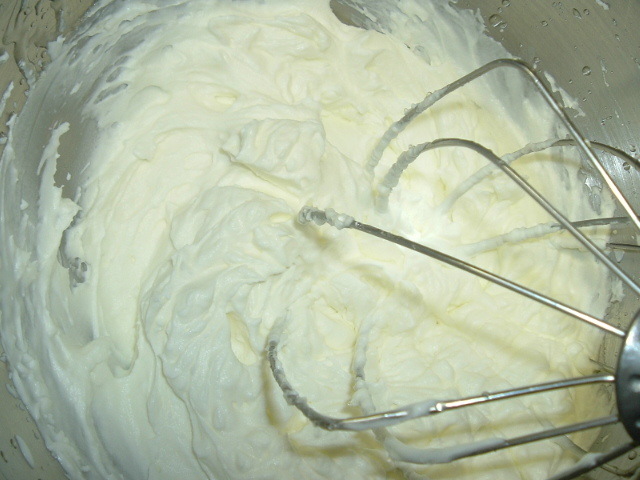 Your whipped cream will be more stable if you do not add your sugar in the beginning when the cream is liquid. 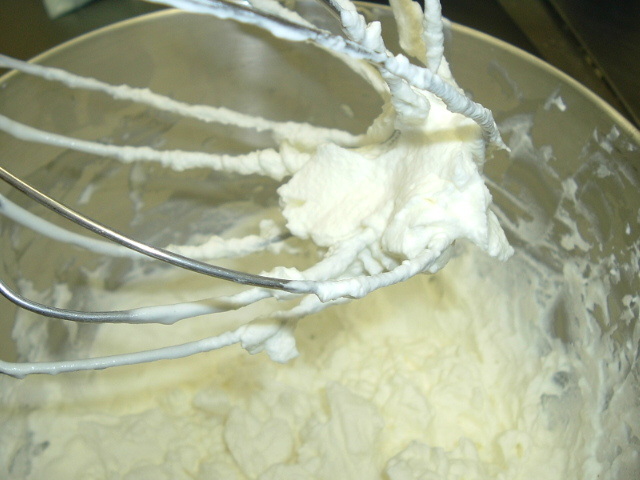 Add the sugar slowly when your cream starts to thicken (start on low, bring up to medium, turn up to high when the cream starts to thicken- after you add the sugar). I prefer superfine sugar. I have never had to use stabilizer- my whipped cream will last for about two days. The cream I use is 36% fat. i do have one question though...where does one purchase the stabilizer? Great tutorial! You are absolutely right, I seldom take my whipping cream past soft peaks. I've never used it to frost or fill because I didn't think I could safely get it past that point. 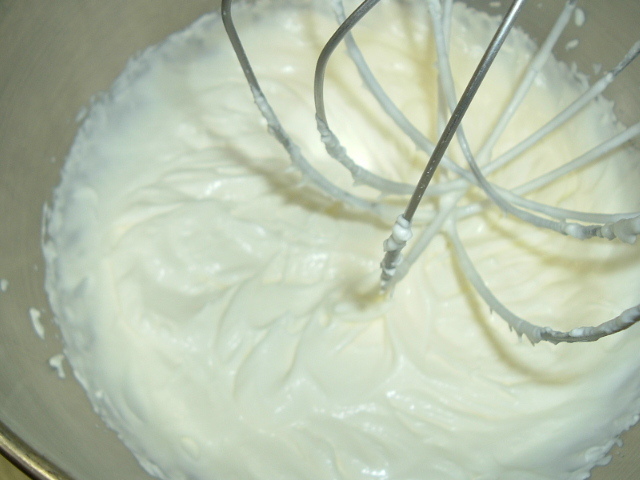 I've got some whipping cream in the fridge so I'll have to think of something to make so I can try it. Thanks! well actually I've only had problems when I add sugar at soft peaks. 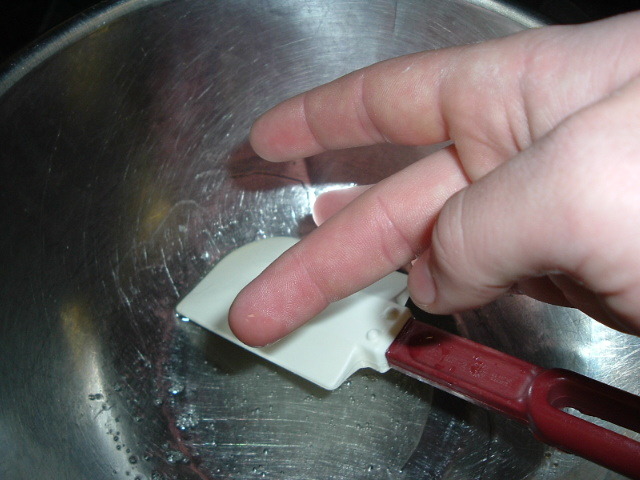 When you use confectioners' sugar its preferred to add at soft peaks because it dissolves so readily. When you use granular you might want to add it at the begginning to give it the extra time to dissolve. 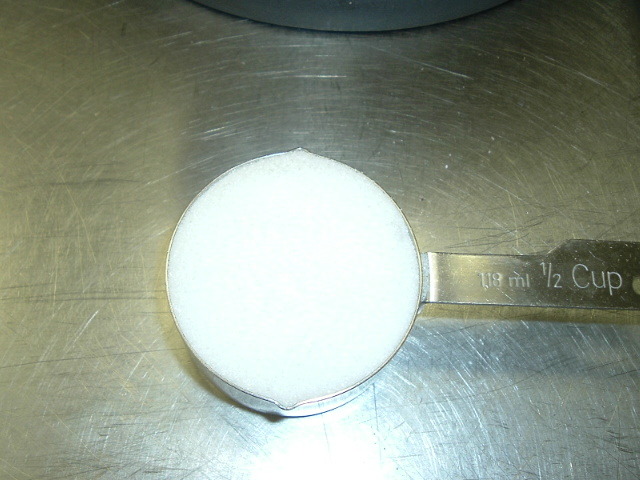 Superfine sugar is great to work with and is acceptable to add at soft peaks so you wont get that gritty taste in your mouth from undissolved sugar. 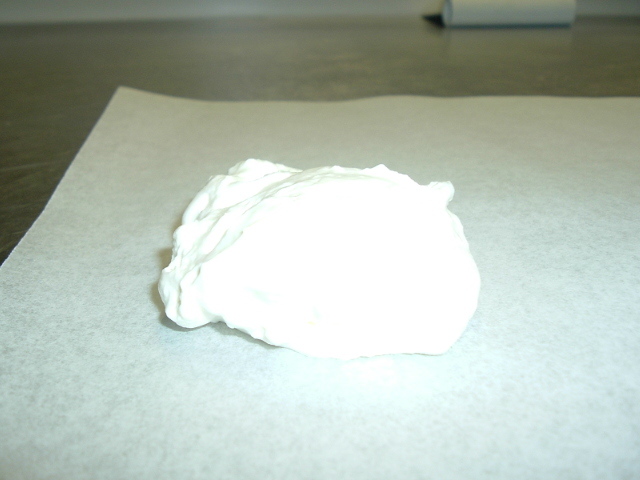 Just thought I would mention we use 100 grams of powdered sugar per quart of cream, added at the beginning. 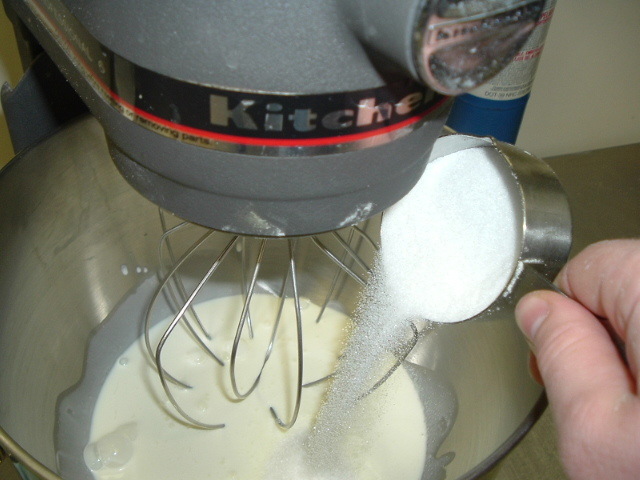 I use 2/3 c. super fine sugar per quart heavy cream, with 1 tbsp. 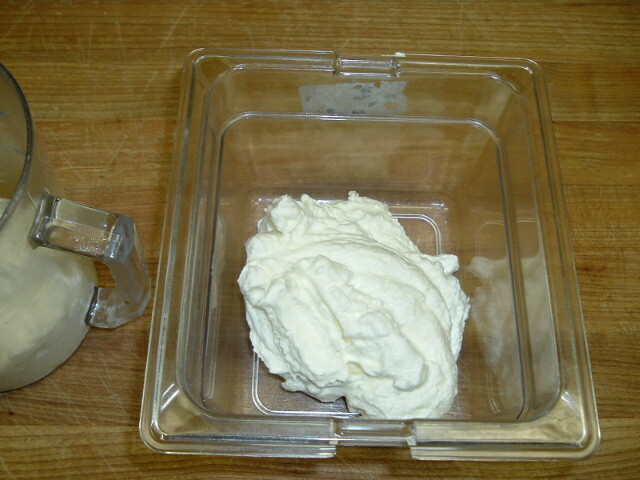 vanilla, aprox..
Now adding sugar to egg whites, I wouldn't add it all in the beginning. But thats two very different ingredients. Alright first in has little result. This is 10 hours. I must say I whipped it perfectly so they are all holding very well. Also remember that these are stored out of reach from people so they are not being tampered with. This means we should see a very maximum time result due to low levels of agitation. From left to right its plastic/sscoop, SS bowl, and plastic container. You can see a very slight slope in the first too but not enough to worry about. 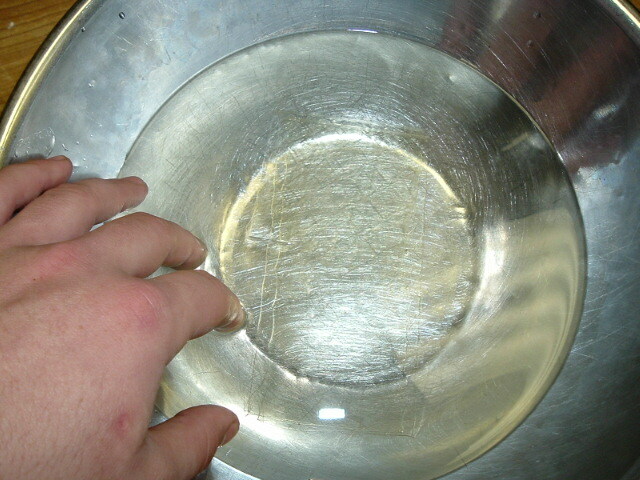 I check it once more after about 14 hours and both the bowl and scoop were creating a thin line of liquid appearance near the bottom. 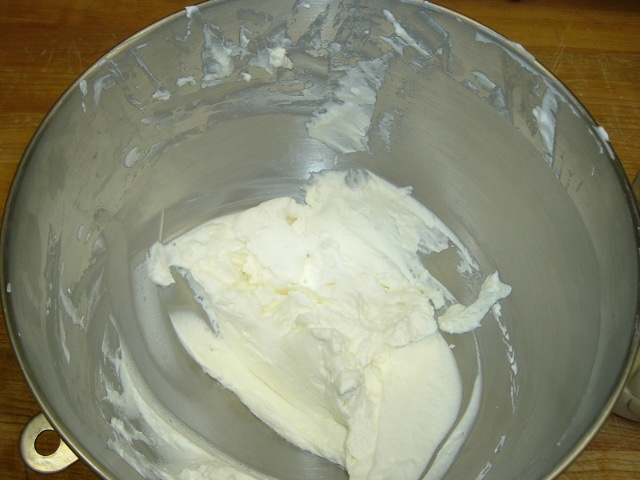 Also just another trick, you can use a seive to drain some of the excess moisture/water that creates the creams weeping by simple scooping the whipped cream into a metal seive and allowing it to rest over a container for alittle while in the refrigerator. So tell me, what do you do with the vanilla bean??? Do you have vanilla debris in your whipped cream??? Just being silly about calling it debris--but seriously, you scrape out the stuff & have speckled whipping cream???? You don't heat the vanilla bean in there somehow do you??? edited to say--Wait - I mean when I use vanilla beans I want to put it in a freaking hydraulic press to get every last bit of goodness out of it --I mean I like to heat them in stuff because I think I get more bang for my buck--but there's no way to do that & get cream cold again & it will still whip, right??? So then you just scrape out the caviar & have the brown specks in there right??? 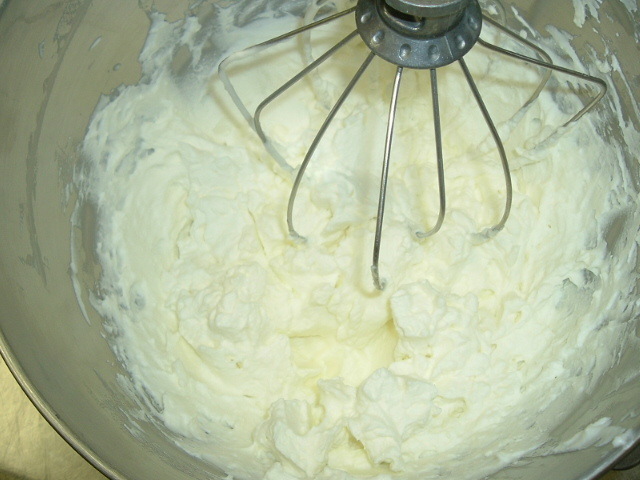 One more thing I thought I would mention - I checked today and according to the labels, the ultrapasturized cream we use when we want very stable whipped cream actually has a LOWER fat content than the regular cream that doesn't whip as stiffly. 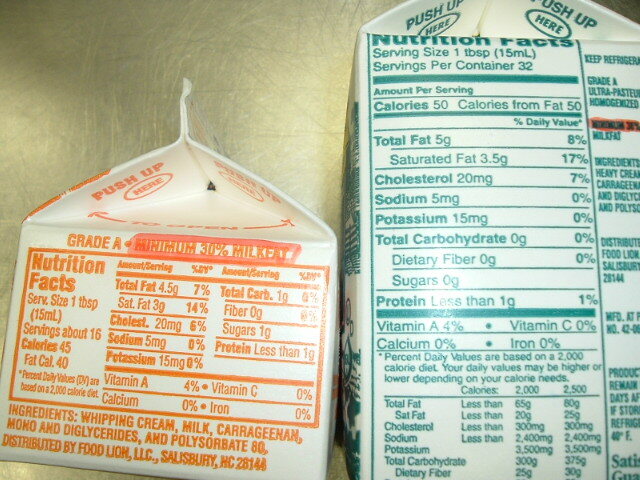 5 grams of fat per tablespoon vs. 6 grams per tablespoon. I know, it doesn't make sense, but I've whipped both and there's a noticable difference. 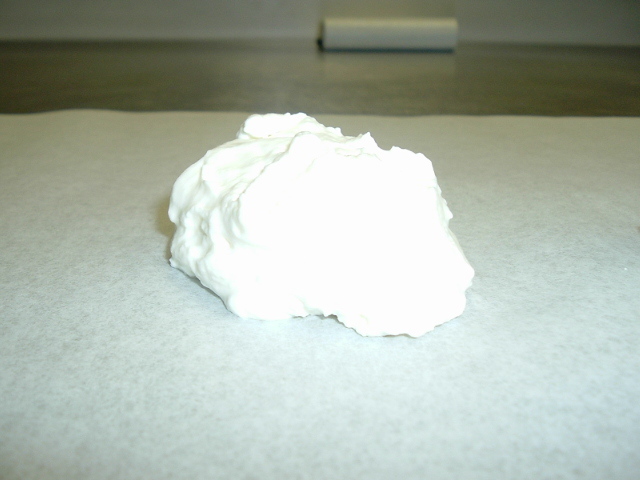 Ultrapasturized cream very often has added stabilizers in it (guar gum etc...). I remember the cream in Las Vegas- not very good quality! I miss the Clover brand manufacturing cream in SF soo good! Another thing I think that should be mentioned is the pasteurized or ultra-pasteurized. We used to use just old plain pasteurized, and it would whip much nicer, holding the peaks better, for longer, and look less chunky, much smoother. The down side was that the expiratoin date was like two weeks from purchase point. With the ultra pasteurized, the cream would whip quickly, but it would also "break" quickly, look chunky, and would not be as overall enjoyable. However, the expo date was like two months from purchase date. Thought it would be usefull. Alright everyone, this is our conclusion. And I say I couldnt be happier. 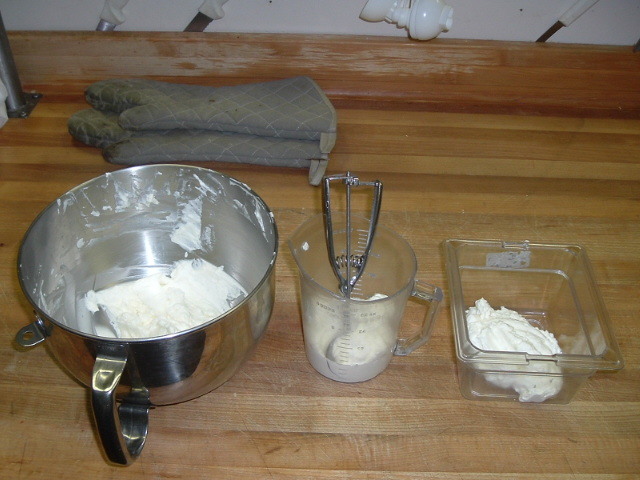 Let I remind you in the most modest I can, the whipped cream was whipped perfectly and am very happy it was plus this was a controlled experement, nobody disturbed the variables except me and you know everything I did. You can easily tell which is weeping more. From left to right its SS bowl, Plastic Container and Scoop, and last Plastic undisturbed. You can see the one conatined in plastic hasn't even begun to weep, its still good. Thanks so much! I too have been stopping at soft peaks, thinking what you've shown us as stiff was going too far with the cream. And, I've always stored my whipped cream in stainless bowls...never again. 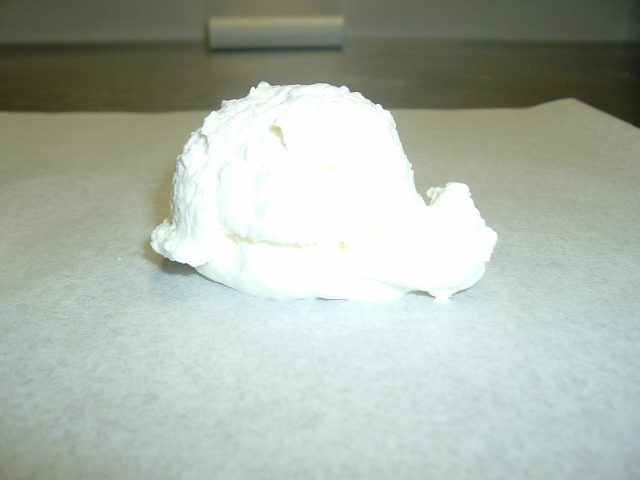 why does whipped cream hold up better in plastic? very interesting. i never would have thought about the container. Great demo! Thanks for sharing it! I learned from my internship to add some of the cream (maybe half a cup) to the gelatin sheets when you melt them, then pour that in all at once. You'd think the warm/hot cream would affect the stuff on the mixer, but it didn't. 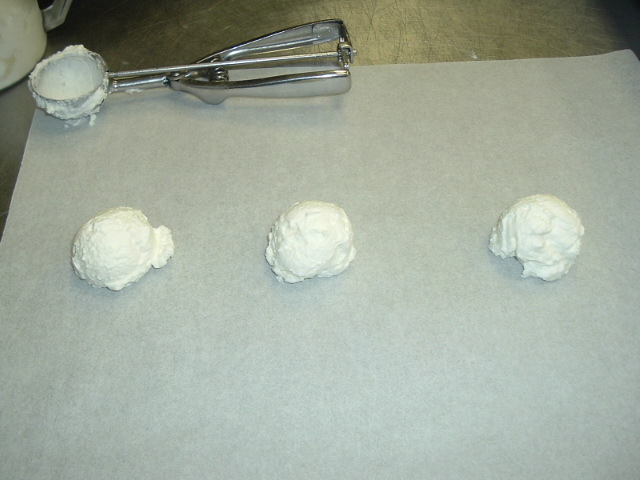 At work, we use either Berkeley Farms or Clover Manufacturing Cream - no stabilizers in it, and we don't add any. It holds up great. This might not be an option in a production kitchen, but do you know if a glass container will hold as well as a plastic one? im sure it will be very similar to plastic. though glass is much more conductive than plastic as is metal, so im not totally sure. I use glass to store it (not because of choice) at work sometimes. It doesn't hold well in glass. It pools on the bottom pretty quickly. Great job! I have been stopping at soft peaks too. I can't wait to make a batch now and serve it with fresh, local strawberries.